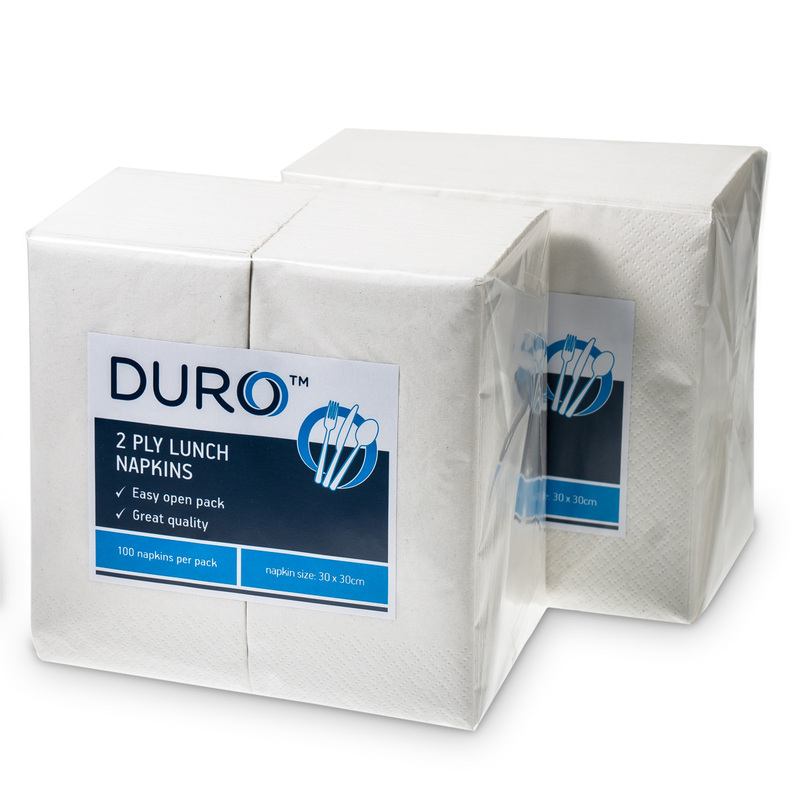 Caprice’s Duro range of napkins is superior in strength, absorbency and reliability. 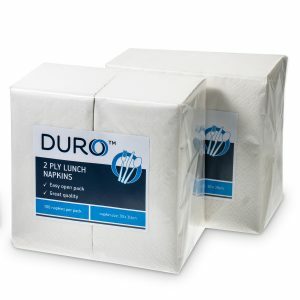 The Duro lunch napkin in 2 ply, GT fold measuring 300mm x 300mm is no exception. 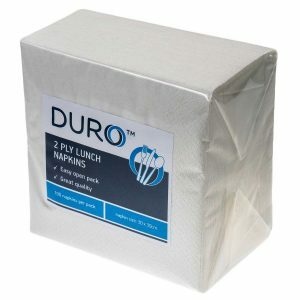 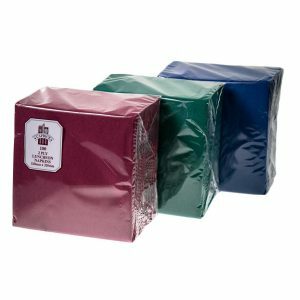 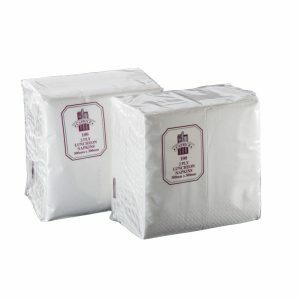 Combining quality and value, these versatile white napkins are the ideal solution for all catering and hospitality needs.